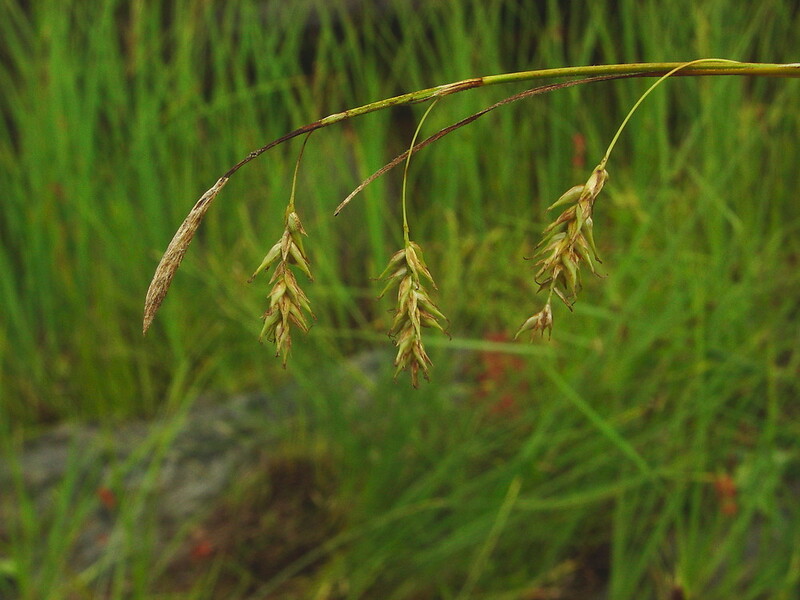 Chestnut sedge is rare in New England, where it is found on calcareous river shores, lake shores and meadows. 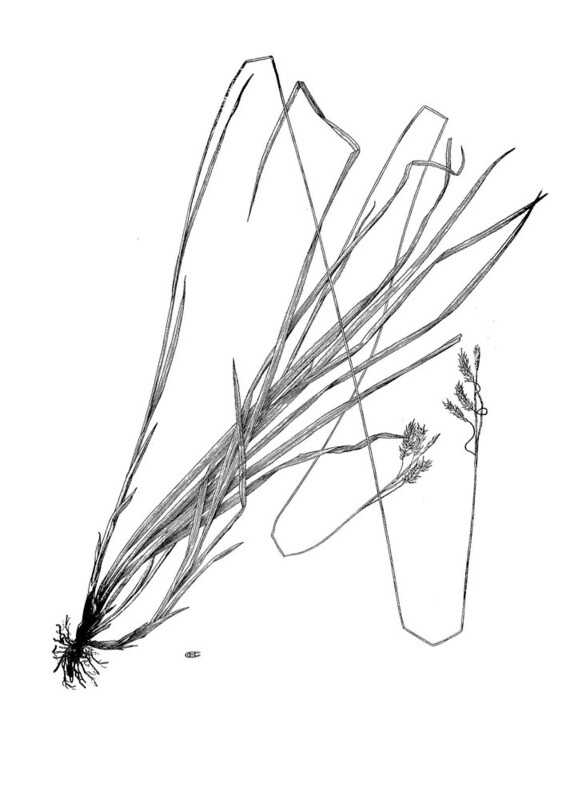 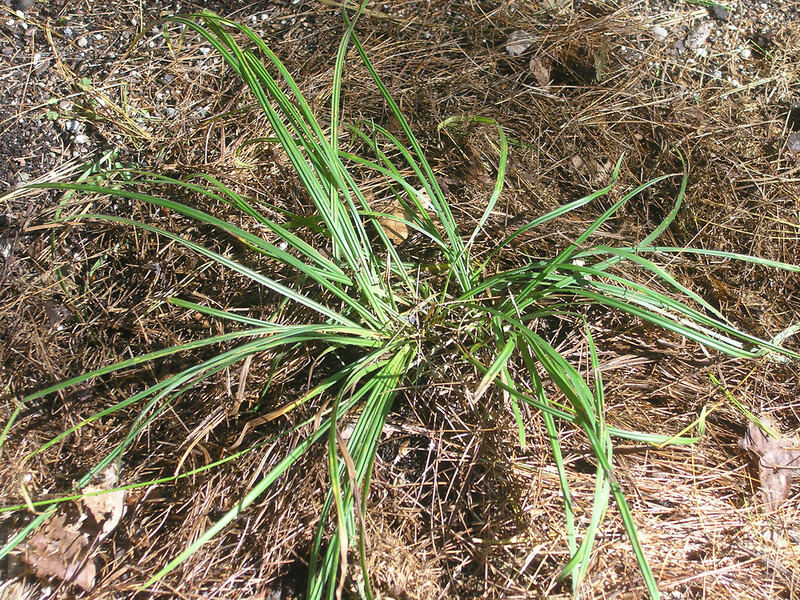 chestnut sedge. 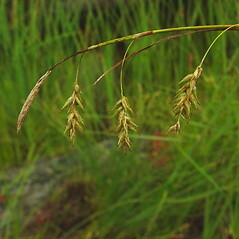 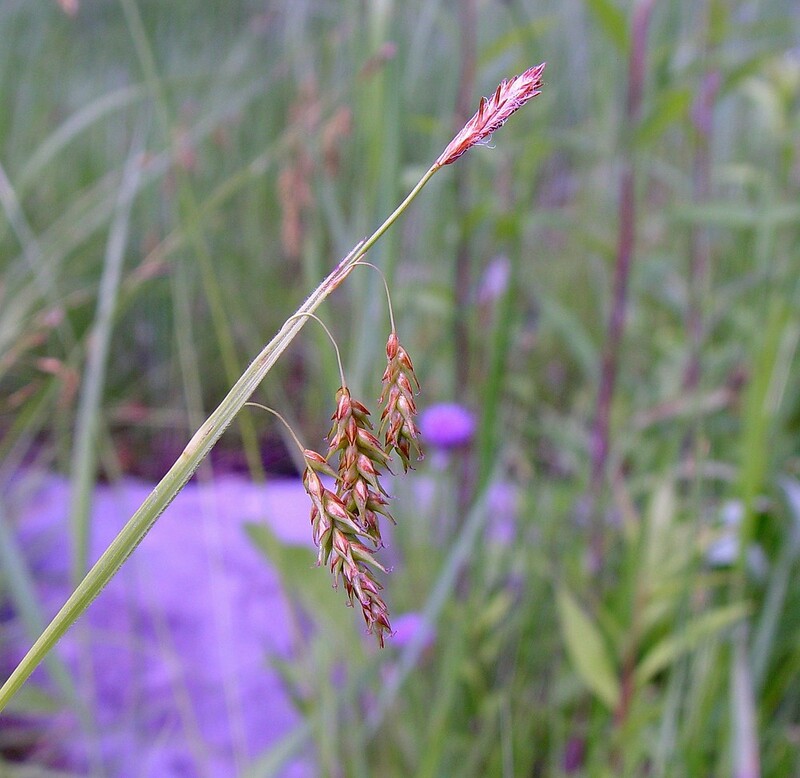 Carex flexilis Rudge • CT, MA, ME, NH, VT. River shores, lake shores, fens, meadows, usually associated with high-pH bedrock. 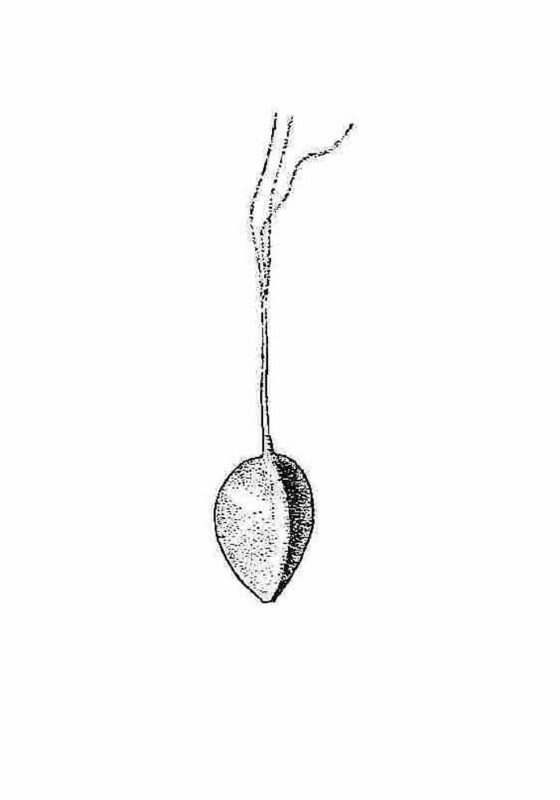 87×88. 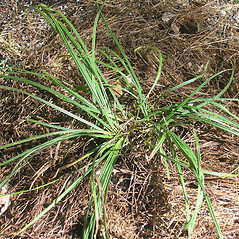 Carex arctata × Carex castanea → Carex ×‌knieskernii Dewey is a rare, largely sterile hybrid know from ME, NH. 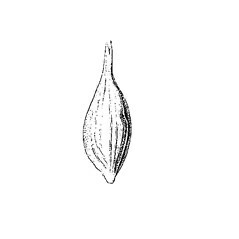 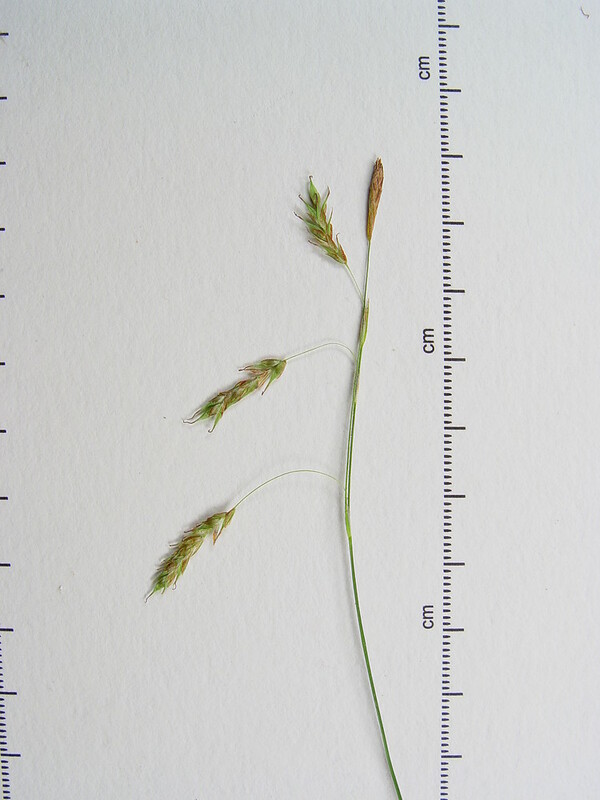 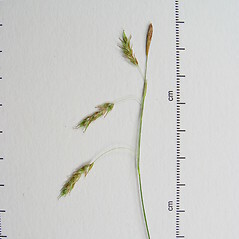 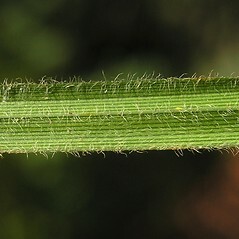 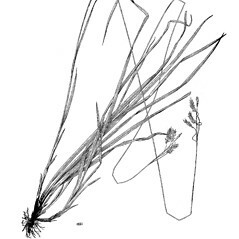 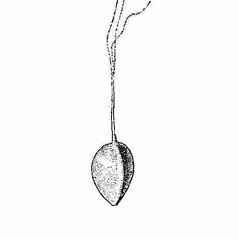 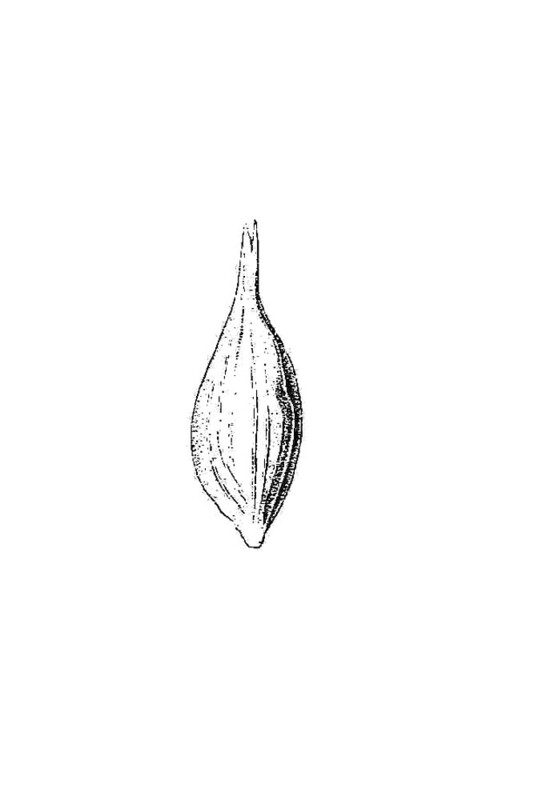 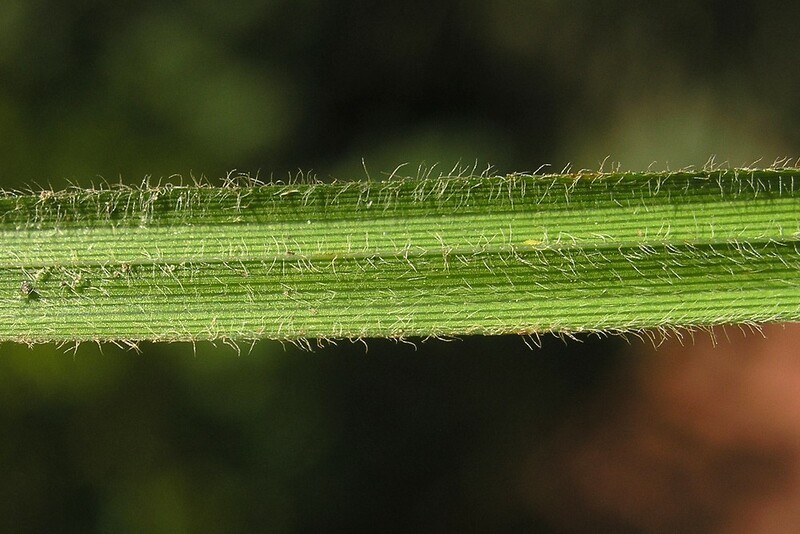 It has long spikes of intermediate width between the two parents (20–45 ×3–5 mm) and sparsely pubescent leaf blades (the hairs most abundant in the basal portion of the blade).